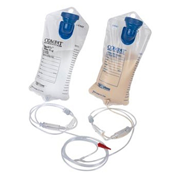 Pump Feeding Bags and Sets maximize the use of your Feeding Pump by helping minimize formula spills and waste while built-in safety features prevent free-flows. 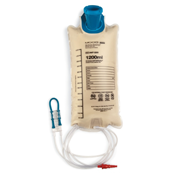 NewLeaf Home Medical offers bags of different sizes and features including built-in hangers and large-top openings. Shop our selection of bags, spike sets, and Enteral Feeding Accessories today.